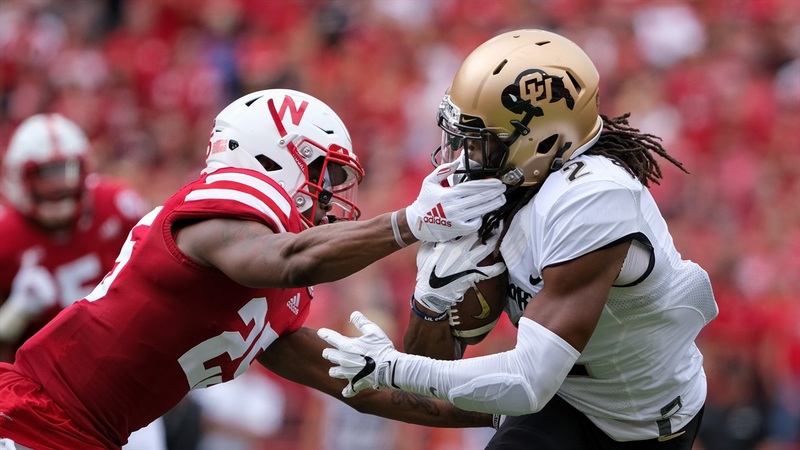 Nebraska’s 33-28 loss to Colorado featured a lot of spectacular plays as well as a number of crucial mistakes, but it was the last big miscue that truly put the outcome of the game into Colorado’s hands. Leading 28-27 with just over a minute to play, the Huskers had the Buffaloes right where they wanted them. A 9-yard sack by Ben Stille followed by a false start whistled against Colorado had the Buffaloes backed up to third-and-24. Quarterback Steven Montez dropped back to pass and targeted receiver Jay MacIntyre over the middle. The Huskers didn’t generate much pressure, but Montez still misfired on the throw, sending it well over McIntyre’s head and into the turf. However, senior Antonio Reed came up and delivered a hit on MacIntyre as the ball sailed over their heads. The official threw a flag and called a personal foul on Reed for hitting a defenseless receiver. The officials reviewed the play for targeting but didn’t see anything to warrant that upgrade. Coach Scott Frost didn’t have much to say about the call after the game. MacIntyre, on the other hand, did. The 15-yard penalty resulted in an automatic first down from the Nebraska 40-yard line. On the next play, Montez hit Laviska Shenault up the right sideline and he held onto the ball through contact as he fell into the end zone for the game-winning touchdown. Nebraska had 63 seconds to work with, but with an injured Adrian Martinez on the bench, asking Andrew Bunch to lead the team down the field for the game-winning touchdown was too much. Erik Chinander’s defense is all about aggression, and “no fear of failure” is one of the team’s mottos. That produced some spectacular results with seven sacks and holding Colorado to 44 yards on the ground. However, that aggression backfired at the worst possible time. Lost fumbles, a missed field goal, a dropped touchdown and other mistakes earlier in the game were all costly, but after all that, Nebraska still had a lead with a chance for the defense to get off the field. A mental error put an end to that, however, and Colorado made the most of its extra chance with a big-time play by their two best players. Derek Peterson will have more on Nebraska beating itself, but for the time being, this play perfectly encapsulates how Nebraska shot itself in the foot on Saturday. That’s why Antonio Reed’s personal foul on third-and-24 late in the fourth quarter is this week’s play of the game.